About a month ago, Google dropped StarOffice from the Google Pack, a downloadable package of free Internet and productivity software for Windows users. StarOffice is a desktop office suite based on the open source OpenOffice.org program and distribute by Sun, and we theorized that Google was laying the ground work for a future push to get users to dump their desktop software in favor of Google’s own web-based application offerings. 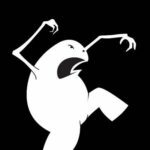 “If pushing people toward their own suite of tools is what Google is playing it, we expect that there is a possibility that weâ€™ll see Firefox dropped from the Google Pack eventually as well and replaced with Chrome (at least once that browser is out of beta),” we predicted. That prediction has almost come true. Google removed the beta label from their Chrome web browser last week, and now, they’ve demoted Firefox in the Pack. They haven’t outright removed the web’s #2 browser — which makes sense because the integrated Google Toolbar and their status as the default search engine in Firefox is worth tens of millions of dollars each year — but they have pushed Firefox aside in favor of Chrome. 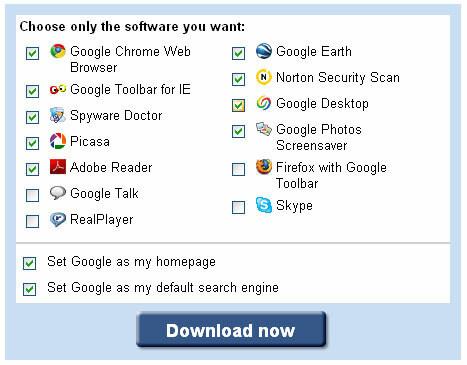 Above: The default software checked as part of the Google Pack download no longer includes Firefox. Firefox used to be the default, recommended browser in the Google Pack, but over the weekend, Google-watching blogger Garett Rogers noticed that Google replaced Firefox with Chrome as the default download. Firefox is still technically part of the pack, but it is unchecked by default and its description has been pushed way down the information page. It makes sense for Google to push people toward Chrome because it is built specifically for running web applications. The more people using Chrome, the better the user experience for those people running Google brand web applications like Gmail, Reader, Docs and Spreadsheets, and others. As we’ve noted, Chrome is an important part of Google’s three-pronged Web OS strategy. Along with Gears (offline data store) and Native Client (local CPU resources for web apps), Chrome gives Google a compelling platform for the delivery of web applications. Google needs to push more people onto Chrome in order to legitimately have a shot at winning the Web OS war that is brewing between them and companies like Microsoft, Adobe, Apple, and to a lesser extent Facebook.